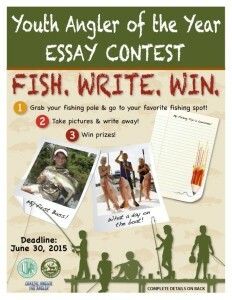 Essay Guidelines: Please write an essay about a memorable fishing trip in Louisiana. You may include where you went, who you were with, what kind of bait you used, what kind of fishing you were doing, and what you learned. Include descriptive details to develop the story. Your essay will be judged for the heart of your story, not just on the writing style or grammar and spelling. Write an essay that makes us feel like we were right there with you. Handwritten essay is accepted, but typed, double-spaced is preferred. 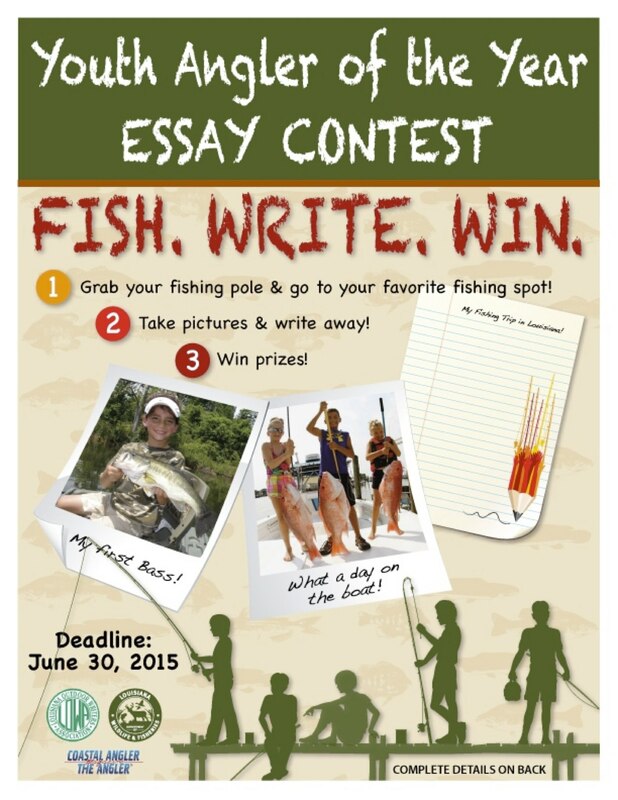 Essay must be written between July 1, 2014 and June 30, 2015 to qualify. Awards: One boy and girl Louisiana Youth Angler of the Year will be selected. A plaque and a prize will be given during the Louisiana Outdoor Writers Association Banquet the second weekend in August. LOWA will pay the banquet fee for the student and two guests. Parents signature above grants permission for the Louisiana Outdoor Writers Association and Louisiana Department of Wildlife and Fisheries, to publish photographs, names and likenesses of minor, for use in LOWA’s and LDWF’s print, online, social media and video-based marketing materials, as well as other publications. Registrants must be a resident of Louisiana.